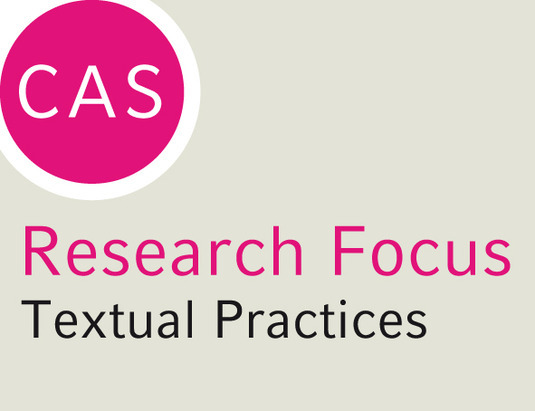 Call for Proposals – Fellowships in the CAS Research Focus "Textual Practices"
Humanities are textual sciences. Alongside the content of texts, the practices of textual communication have recently come under increased focus in research. Of particular interest are forms of communication that cross the boundaries not only of texts, but also of religious cultures. While research into textual practices, for example in the period of the European Middle Ages, has received much attention in recent years, the research focus led by Teresa Bernheimer and Ronny Vollandt will examine the connection between the great intellectual cultures of late antiquity: between ancient philosophy, Judaism, Christianity and Islam. The geographical focus will lie particularly on the Eastern Mediterranean region. Rather than assuming a static picture of "text traditions", the Research Focus aims to analyze the impressive spectrum of activity associated with texts and their dynamics. How are these text practices shaped by their socio-cultural contexts? Which interdependencies are evident? How does the crossing of cultural, linguistic or chronological boundaries affect a certain practice? Do text practices change according to their addressees? The aim of the Research Focus is to shed light on the roughly synchronized developments and techniques of textual practices in related cultures and traditions as well as to establish common elements and differences more precisely. The interdisciplinary Research Focus group will especially examine the way in which textual practices were adapted and transformed. Lecture by Prof. Gábor Buzási, Ph.D. – "'Unus et mediator Die et hominum' The Neoplatonic Solar Theology of Julian the Apostate"
Panel Discussion – "Between Aksum, Constantinople, and Baghdad: Textual Practices in Late Antiquity"
Lecture by Prof. Jack Tannous, Ph.D. – "The Syriac Scholarly Tradition"
Workshop – "Church Fathers in the Margins: Patristic Traditions in Biblical Manuscripts"
Workshop – "Calendar Polemics in Medieval Judaism and Islam (9th-11th Centuries)"
Workshop – "Synopses and Lists. Textual Practices in the Pre-Modern World"
Call for Applications – Fellowships in the CAS Research Focus "Textual Practices in the Pre-Modern World: Texts and Ideas between Aksum, Constantinople, and Baghdad"